We barely got the 2010 edition posted in time for the midterms among much angst and gnashing of teeth. 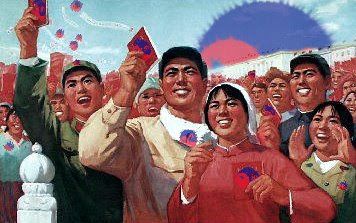 To avoid that last minute panic during this election cycle, we are getting an early start on the 2012 membership drive. Membership is open to anyone writing anything in a vaguely positive way on the subject of divided government. New recruits will be added to the ranks from now until the 2012 election. Fair warning: Inclusion on this list will make it easy to identify the backsliders and the disingenuous. You know, backsliders like this guy. To be fair (or not) we expect Sully back on the COD membership roll this cycle. Since the most likely scenario is that the Divided Government vote in 2012 will be a vote to re-elect Barack Obama, we expect to see many 2006ish Born Again Dividists like Andrew Sullivan who only prefer Divided Government when there is a risk of One Party Republican Rule. No matter. The Dividist will be watching. 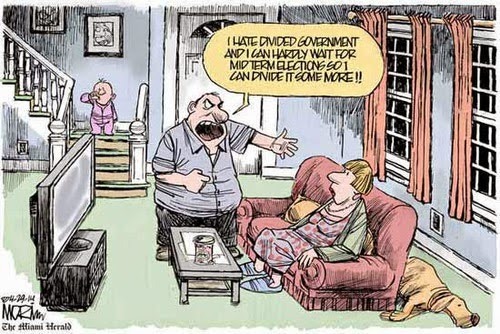 The Dividist will point out the inconsistent and insincere. 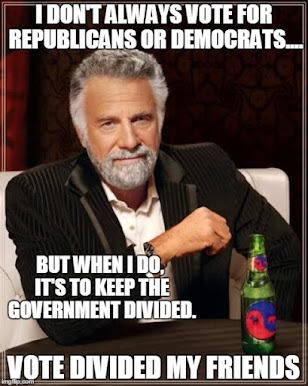 But the Dividist will also welcome hypocritical partisan pretenders to the ranks. You too can join this glorious movement and march in solidarity with the many millions thousands hundreds tens of your brothers and sisters standing shoulder to shoulder in the Coalition of the Divided! Just write anything vaguely favorable to Divided Government and/or Gridlock, then let the Dividist know where to find it in the comments or via e-mail. The Dividist will add it to this post, link you, blogroll you, favorite you, digg you, friend you, follow you, tweet you, paint your house and walk your dog. This is a living list. New recruits and draftees will be updated to this post and in the blogroll periodically between now and election day. Stay Divided. Honored to be listed! I'm not much of a joiner, but it's cool to be listed with a group of folks who think for themselves. Much respect.